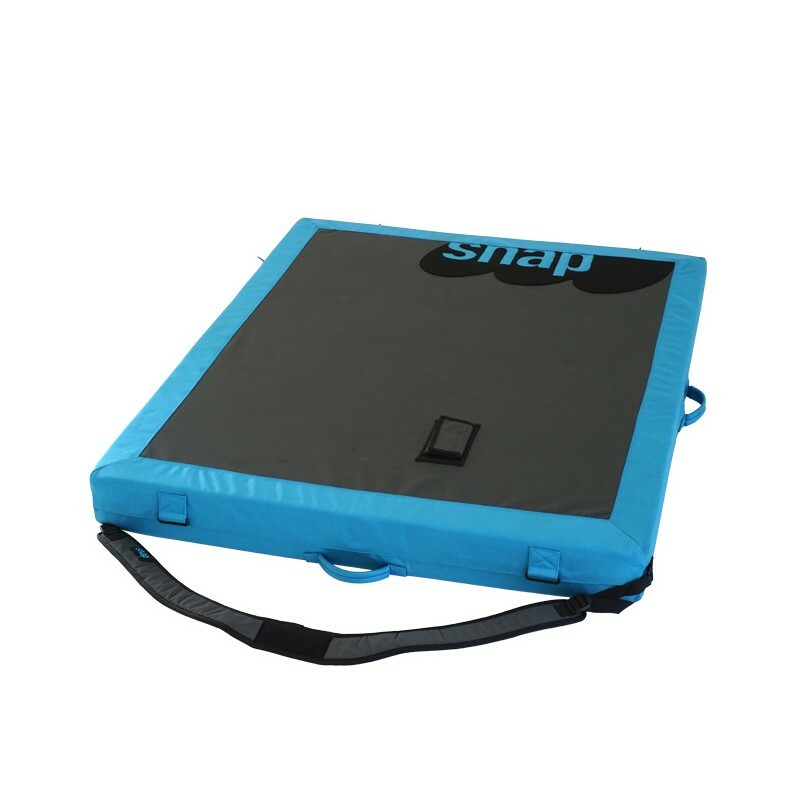 The Snap Bun Crash Pad is both easily portable and hard wearing. 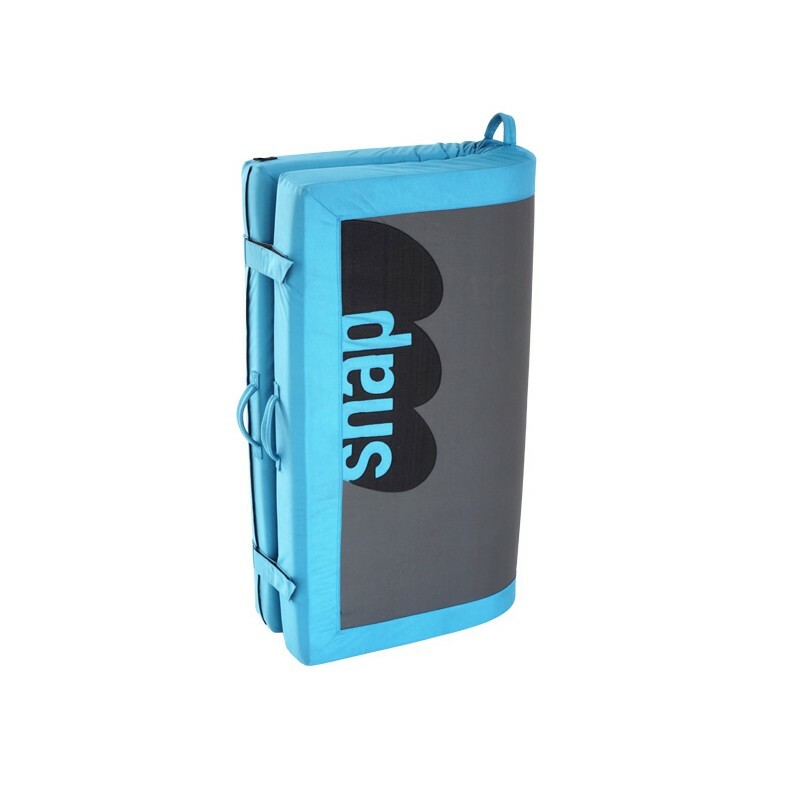 The Snap Bun Crash Pad is both easily portable and hard wearing. It utilises the Snap “tournedos” construction, which is a ballistic grade polyester that goes all the way round the pad. This means there are no seams along the edges of the pad, which makes for great durability. The Bun is constructed from one piece of material, which means there are no folds in the middle or weak points that could result in twisted ankles. Roll it up inside out to carry it, with the removable shoulder strap that need never touch the underside. That way you and the carrying strap stay clean! 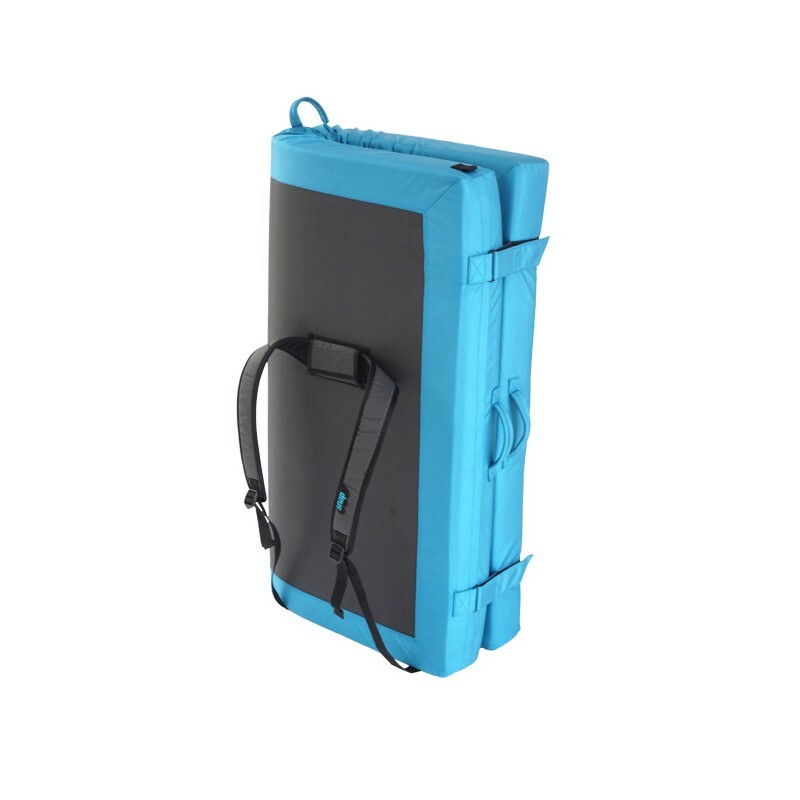 The carrying strap has Velcro fastenings and is kept shut with three Velcro patches. The strap now has two new metal rings with an opening that easily allows it to be detached and used in one of two ways – on the back or across the shoulder. The topside is in polyester and the underside is non-slip and waterproof and can be easily sponged clean. Three carrying handles. Three velcro closings. A raised SNAP logo reminds you that you are bouldering with quality under your feet. Foam : 1,5 cm of EVA high density reticulated foam to break the fall and 10 cm of PU foam to absorb the shock. Both safe and hard wearing, the reference among crash-pads.